← What’s on Your Shelves? After the report of Osama Bin Laden’s death was reported, my wife asked, “How should Christians respond to news like this?” Let me be honest. My initial reaction was probably much less than “Christlike.” My response to her however, demonstrated restraint, “I really don’t know.” How would God’s Word direct the believer to respond to people like OBL? My library shelves a couple of dusty books by DA Carson (maybe my response would have been better had they not been so dusty). In 2000, Carson released “The Difficult Doctrine of the Love of God.” In 2001, America was attacked by terrorists leaving much devastation and death. 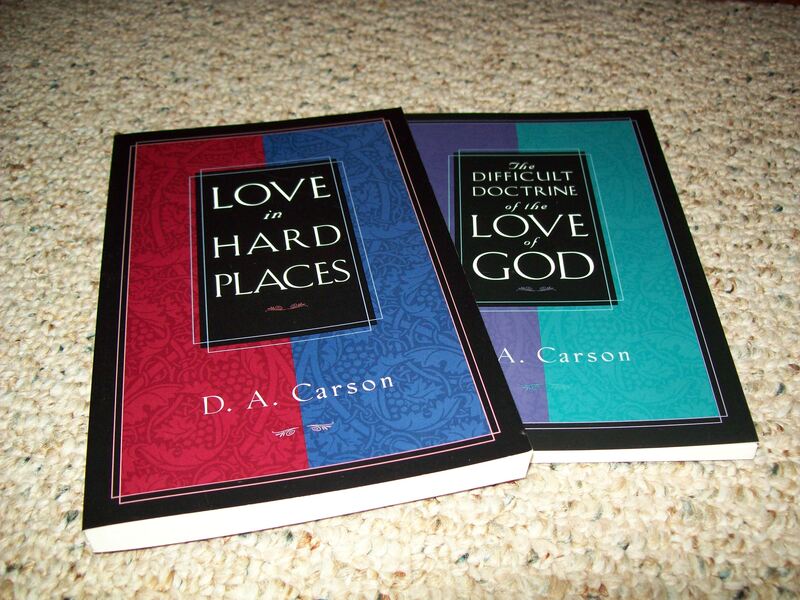 In 2002, Carson released “Love in Hard Places.” While similar in their approach to exposit the biblical definition of God’s love, the most current edition provides a section about the Christian and Osama Bin Laden. This entry was posted in Books and tagged Laden, Osama, terrorist. Bookmark the permalink.